At times, you may feel like your online marketing campaign is letting you down. Maybe you aren’t getting any inquiries through your website. Maybe you are sending out one email after the next, just to get shot down time and time again. 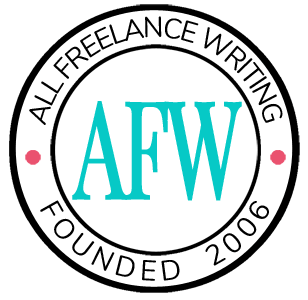 Since this is a possibility, it is important to consider other methods of marketing your freelance writing services – such as cold calling. Like most writers, I was uncomfortable with cold calling in the beginning. From not knowing what to say to dreading the “hang up” there were a lot of things going through my mind. Fortunately, like anything else, practice makes perfect. Soon enough I was comfortable with cold calling. Around the same time, I began to realize that this was a great way to grow my business. 1. Have a script in front of you at all times. In addition to your opening statement, have notes on what you will say based on the response received. For example, if you hear “tell me more about what you have to offer” you can reference the appropriate section in your notes and take off from there. You don’t want to read word for word. You simply want to give yourself a little help, just in case you need it along the way. 2. Practice by yourself before every call. Don’t feel silly about doing this. Instead, realize that it will make you more comfortable once a live body is on the other end of the conversation. 3. Be courteous at all times. When you are friendly you are going to feel better about what you are doing. And when you feel better about yourself you will be more comfortable with the process as a whole. Note: just because you are courteous does not mean you can expect the same from the other person. However, don’t let this change your mood. If you want to give cold calling a try, these three tips can help you become more comfortable. I think that the most important cold calling tip is what happens AFTER the call is over? Follow up is critical. If you’ve been asked to send writing samples, send them. If the prospect requested references, provide them. A follow up thank you email can work wonders, even if no business was generated. Even if I get the brush off – “oh, we’re not interested right now; try us in a few months”, I always diarize to follow up in a few months. Persistence and follow through can make the difference between landing a writing gig and falling short. These are good tips, Chris–and cold calling is a great way to drum up business. Starting out, I used index cards with keywords on them to trigger what I wanted to say or ask next, and eventually I didn’t need them at all. The other thing is that if you start to feel like you’re in a negative mood or tired of your spiel, take a break and freshen things up. If you’re bored with what you’re saying, a prospect will be, too. I did A LOT of cold calling at my old ad sales job. I truly hated it at the time, but the experience and training they invested in us employees has benefited MY business well. Chris, I agree that having a script is very important. You feel much more confident when you already know what you’re going to say. Jake’s suggestion of having keywords is something I’d never thought of before. I don’t do much cold calling now, but that’s a useful tip that would help anytime you’re dealing with a prospect by phone.